How many pecks of peppers did Notafoodie pick? I’ve spoken fondly of my grandfather Pete on this site before. One of the things that I always remembered about his was his love of vegetable gardening. During the summer, there was always something new coming out of his garden. It usually ended up in a sauce or a frittata. My father also always had a garden. Truth be told, it never was that great until he retired and had the time to devote to it (now, by the en of the season his basil bushes are the stuff of legend… you can get lost in the forests they create). That’s why this past spring I decided to take a trip to the store with my son and buy some plants for our mini garden in Queens, NY. Our backyard is tiny, so we have to be extremely choosy with our selection. We opted for a couple of tomato plants (one heirloom, one not), some basil, and as we were leaving, I decided that I wanted some pepper. Having done absolutely no research, and in the company of a cranky 2-year old, an infant, and a wife who was already on the checkout line, I grabbed the first plant that I saw. When I got home I realized they were hot banana peppers. As the summer progressed, I was shocked at how that little pepper plant flourished in our big city backyard. Once or twice I stuffed them for an appetizer, but they were multiplying like tribbles. The peppers’ growth could ALMOST keep up with the rate that our son asked to pick them (which was 2-4 times per day). 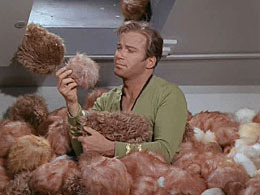 Substitue me for Shatner, and banana peppers for “tribbles”, and you’ll get the idea. By the end of the summer, we had a quite the peck of peppers. So I decided to break down and buy a canning starter kit from Amazon and some jars to attempt to preserve them. I did some research, and created a brine based on what I saw. Some part of me remembered sweet and spicy pickled peppers on a sandwich that I had eaten somewhere. Side-note- It amazes me that I need 20 reminders on my iPhone to tell me to do almost anything, yet i can remember the exact taste of sweet and spicy picked peppers that I had eaten at some point in the 38 years that I have been consuming food. 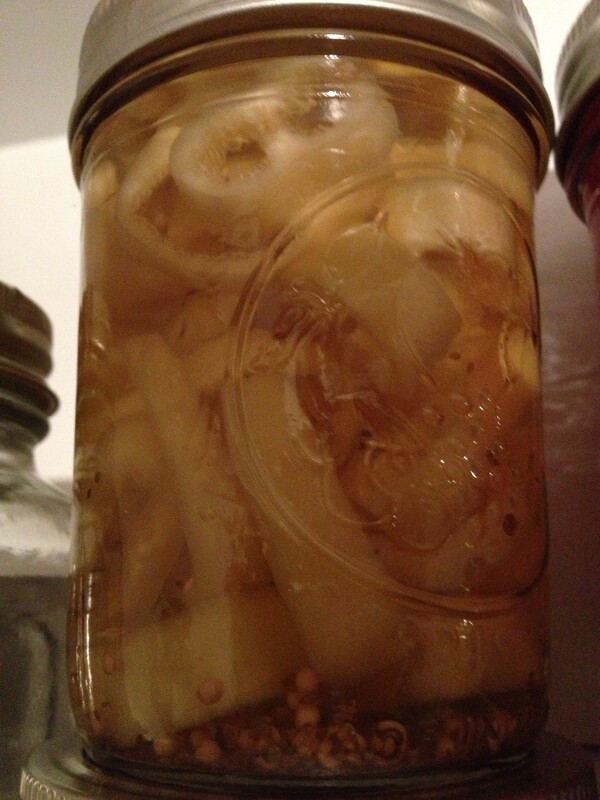 I sliced up a dozen or so yellow peppers and got to pickling / canning. From my research, I learned that I should probably wait a couple of weeks before sampling the goods. 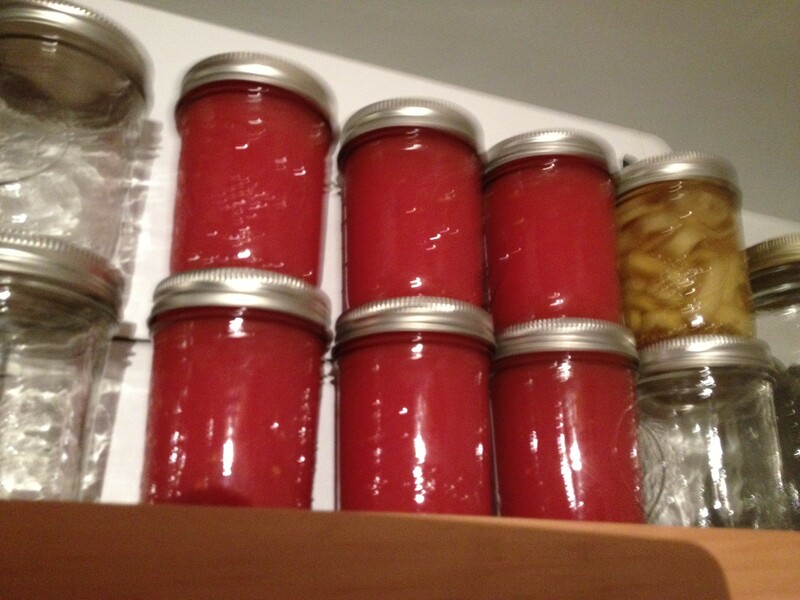 As part of my continuing effort to turn my kitchen in to the storefront of an Italian Deli, I put them up on a tall shelf and stacked them with some jars of tomatoes. Welcome to the Notafoodie Deli! How YOU doin’??? After 2 weeks that seemed like 2 years (I am an impatient person), Mrs. Notafoodie and I cracked open the jar and were blown away. They were delicious; sweet, but with a great little kick. I wish I could tell you what dish to use them in, but we’re finding it hard not to just munch on them straight from the jar. Next year we buy 2 plants… and a lot more jars.